Regular readers will know about my lash trials, tribulations and dodgy extensions. While I do apply strip lashes on my makeup clients, I am not fond of them myself, as I can’t get used to the weight on my lashes. I am a keen mascara wearer though. My favourite mascara for a good few years has been the L’Oreal 4D Lash Architect, replaced only temporarily by the L’Oreal False Lash Flutter, which was removed from sale after a relatively short run. While I love the effect I get with the 4D Architect, I find it does make my lashes a bit brittle. All I want is a mascara that coats evenly, thickens the appearance of the lashes while keeping them feeling soft and it’d be a bonus if it conditions them a little too, and it water-resistant. Is that too much to ask? Probably. Oops! I mentioned this to a former colleague, on the L’Oreal counter and she initially recommended I try Baby Doll mascara. She knew how much I love the Benefit Rollerlash, but am less keen on the price. 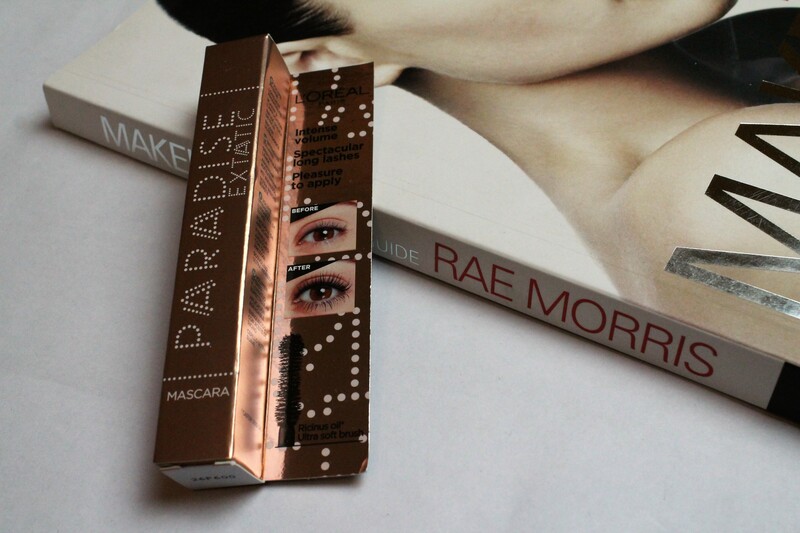 I had tried Baby Doll before and hadn’t got on well with the brush (doesn’t coat evenly for me, and I find the brush too spiky)… so she suggested I buy the Paradise mascara as the third item in the 3for2 deal. I took a punt and went with it. I’m not particularly loyal to any one mascara and have a handful that I love and buy on rotation. My favourite for dramatic lashes is a classic, the Dior Show mascara, while my favourite everyday mascara is the Benefit Roller Lash mascara. Both are premium priced and I am religious about tossing my mascaras every three-six months (as you all should be doing – bacteria on old mascara is a quick way to nasty eye infections – eww). So basically I want thicker lashes, that stay looking soft and natural with a pocket-money price tag. Price-wise, this is mid-range, at £11.99, but is often available in Boots or Superdrug 3for2 deals, so I’m happy on that front. Length v thickness is the age-old mascara debate. Usually for length I like silicone brushes, as they comb and coat the lashes in one step as you apply the mascara. For thickness the bristle brushes are best and I like to apply by placing close to the base of the lashes and wiggling my way up, twisting/ rolling as I go, for smooth, even coverage. Having a quick look at the ingredients, there are some lash nourishing and conditioning goodies in there, Jojoba oil and Castor oil. I am pretty lazy with my lash care, so am definitely liking the fact that this mascara will condition my lashes as I wear it. I’ve worn this mascara a handful of times and it does get the job done. It thickens my lashes and coats them evenly, while keeping them soft. The only downside is that the waterproof version leaves my lashes just as brittle as other brands. I guess I’ll have to make do with it ticking all my boxes but the water-resist, and that’s not so bad really. This may well be my new favourite mascara… for now. 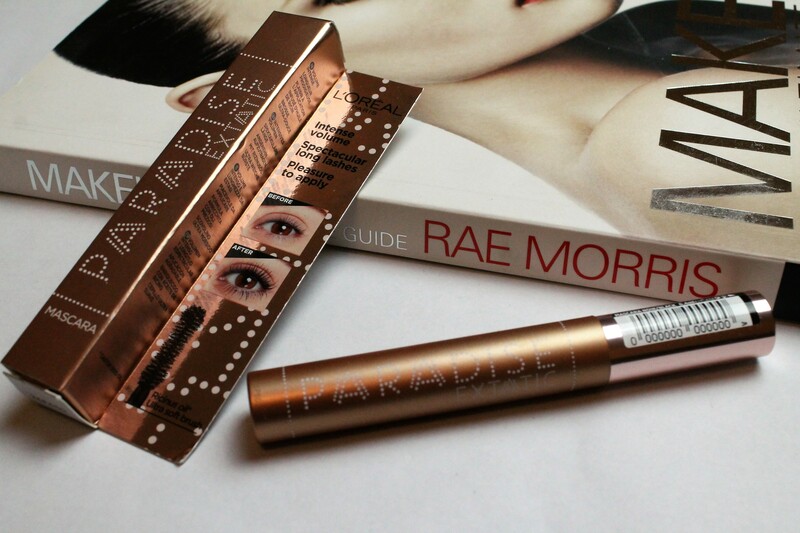 Have you tried the L’Oreal Paradise mascara? What were your thoughts? Hit me up on the socials! 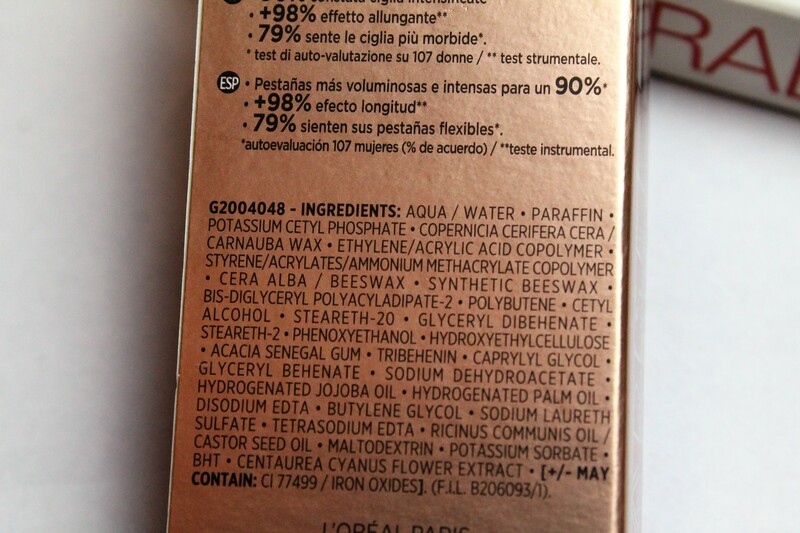 Leave a reply on "L’Oreal Paradise Mascara"